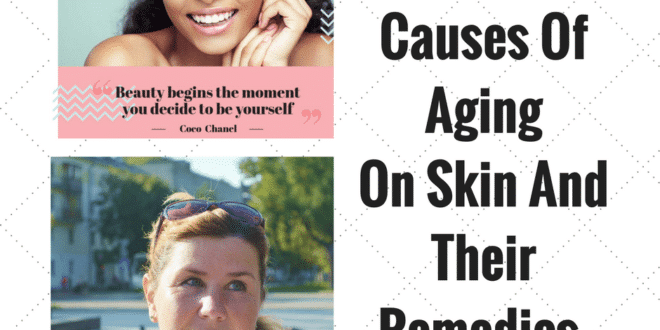 Skin aging is a state that threatens each one of us. Everybody wants to feel young and exuberant always. 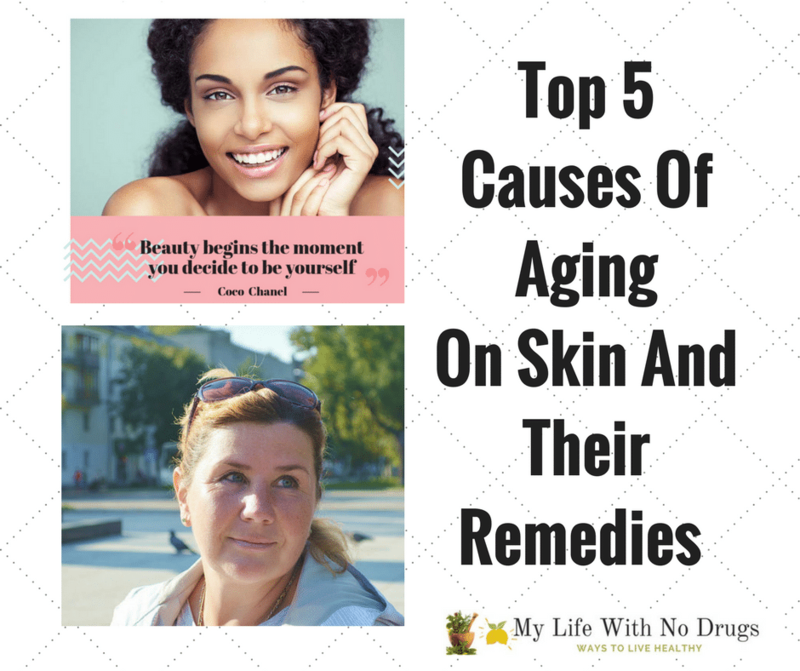 This article will discuss the top five causes of skin aging and their remedies.We all want to live to ripe old age without looking a day over twenty-nine! Unfortunately, aging is a fact of life that occurs as the body’s ability to function declines. The process of aging—marked by wrinkles, aching joints, fatigue, and loss or graying of hair—is accelerated by a poor diet, lack of exercise, excessive exposure to sunlight’s ultraviolet rays, and lifestyle choices including smoking and drug use. These and other factors increase free-radical activity. Free radicals are highly unstable molecules that damage the cells’ DNA and interfere with the cells’ ability to function. Some herbs function as antioxidants, which effectively eliminate free radicals. These herbs include Ginkgo biloba, ginger, parsley, and milk thistle. Other herbs contain flavonoids, naturally occurring compounds that can improve the strength of your body’s capillaries (tiny blood vessels), and therefore your circulation (something that is often impaired as we age). These herbs include berries, cherries, black currants, elderberries, horsetail, and milk thistle. The skin has a natural tendency to age and loses its glow. One cannot avoid this fact. However, you can follow some of the natural anti-aging remedies for skin’s healthy aging. Otherwise, opting for anti-aging creams and lotions cost you a bomb and still you fail to get the desired results. We will let you know about the top five natural anti-aging remedies that will help you keep your skin fresh and smooth like you have always wanted to. The foremost step to keep your skin glowing and healthy is the removal of the dead cells from the surface. Cleansing agents like milk and honey have always been known for removing dead skin cells, harsh makeup and other surface dirt particles. A blend containing equal amounts of milk, honey, and a mild liquid soap if applied as a cleanser twice a day helps in keeping skin fresh and glowing. One big sign of aging skin is the formation of stretched and large pores that can easily clog dirt and impurities. Applying a blend of lemon juice and yeast helps to keep the pores small and cleans the impurities that make pores large. Use of a good moisturizing agent after the cleansing of skin helps in keeping it youthful and glowing and slow the aging process. Olive oil and Vitamin E oil are the most useful moisturizers wherein the olive oil is considered the original beauty ingredient and Vitamin E oil help to cure skin ailments like sun damage, wrinkles, lines, and scars. A solution of both olive oil and Vitamin E act as a perfect moisturizer and heals age spots and makes the skin smooth by regular use. The quantity of the solution applied depends from person to person, from skin type to skin type and the climatic conditions. 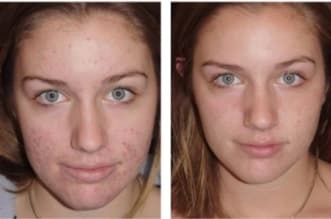 Not many people are aware of the fact that the cellulite creams that melt away dimples contain caffeine in large quantities. Caffeine is the beauty industry’s best-kept secret. Hence, you should try your coffee secret first before opting for the high rocket cost cellulite creams. The procedure for this coffee effect is to take the warm coffee grounds from the morning pot and rubbing the moist grounds vigorously on cellulite and then rinse it off with water. Cellulite will disappear in a few days if you do this regularly once a day. 1. 1/2 cup Ginkgo biloba tea 1/2 cup ginseng tea Combine the ingredients. Take one-third of a cup three times daily. Ginkgo is known to improve memory, while ginseng can boost energy levels. 2. five drop cayenne tincture 3o drop burdock tincture 15 drops goldenseal tincture ten drop ginger root tincture 1/2 cup Slippery elm teacup warm water. Combine all ingredients. Take 2 to 3 tablespoons three times per day to improve circulation. 3. Lifespan is ultimately determined by the fact that cells can only replicate a certain number of times a genetically predetermined cut-off point that prevents physical immortality. Understanding this, most researchers still believe that humans should live 120 years or more. Why then is the average lifespan hovering around age 70? We deteriorate mainly due to damage from free radicals, produced as a byproduct of normal metabolism, or created by various toxins, pollutants, allergens, heavy metals, etc. Additionally, 75% of Americans are not getting enough free radical fighting antioxidants, such as vitamin E, selenium or even vitamin C. These are quickly used up under stress, while hormonal, immune and neurological imbalances further accelerate aging. 4. Some herbs are highly prized and renowned for their anti-aging and longevity-promoting effects. Science has extensively verified that these complex plant medicines have the definite ability to prolong the duration and quality of life. Many of these antiaging herbs are adaptogens and tonics, normalizing metabolic, hormonal and neurological systems and stimulating cellular regeneration. Others have more focused effects on the brain, heart or immunity. They are safe for long-term use and disease prevention. 5. Ashwagandha- Withania somnifera Tonic that slows aging, rejuvenates tissues throughout the body. Clears the mind, strengthens the nerves, promotes restful sleep. 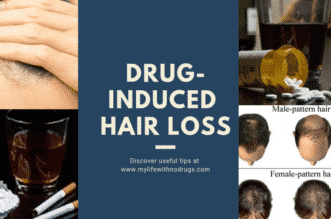 Improves memory, cholesterol, sexual ability; lessens hair graying. 6. Fo-Ti- Polygonum multiflorum Chinese tonic herb that promotes longevity, strengthens the blood, improves vitality, sexual vigor and fertility and can reduce hair graying. Lowers cholesterol, improves arteriosclerosis, regulates blood sugar. 7. Garlic- Allium Sativa Protects nervous system, improves brain function, memory, learning. Prevents/treats arteriosclerosis, reduces clotting, lowers cholesterol. Increases life span in animal tests; inhibits viruses, bacteria, parasites. 8. Ginseng- Panax ginseng is Rejuvenating, stimulating adaptogen, yet helps calm nerves, increases vitality; reduces exhaustion; increases stamina, speeds wound healing. Enhances immune system; balances metabolism and stress response. 9. Gotu Kola- Centella Asiatica Rejuvenating, longevity herb in the Ayurvedic and Chinese traditions. Increases intelligence, memory, creativity, learning ability, reduces mental fatigue. Strengthens nervous system, adrenals, and immune system. Improves wound healing, reduces scar tissue, increases circulation. 10. Green Tea- Camellia sinensis High in vitamins, minerals, antioxidants and flavonoids and especially polyphenols; decreases cellular and tissue damage incurred with aging. Protective against cancer, heart diseases and is an immune stimulant. 11. Hawthorn- Crataegus oxycantha Heart and circulation tonic; normalizes blood pressure, heart rhythm. 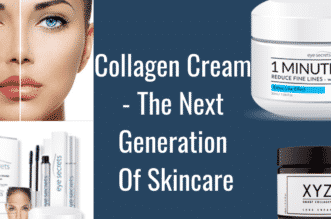 Slows aging process protects connective tissue and blood vessel walls. Reduces atherosclerosis, helps adaptation to be physical and mental stress, protects against radiation, improves digestion and assimilation. 12. Licorice- Glycyrrhiza glabra Traditional Chinese longevity herb; stimulates adrenal glands, balances and conserves cortisol and energy during stress. Anti-inflammatory. Has potent antioxidants that protect the digestive tract, liver and other tissues from the damaging effects of aging. Inhibits atrophy of thymus. 13. Maca- Lepidium meyenii Ancient Peruvian herb that increases vitality, strength, and stamina. Invigorates libido and is a sexual restorative in both men and women. Alleviates signs of decreasing hormones in middle age and menopause. 14. Reishi- Ganoderma Lucida A traditional “elixir of immortality” in Traditional Chinese Medicine. Treats a wide range of conditions, including heart disease and cancer. Normalizes blood pressure, cholesterol, platelet stickiness. Enhances immune and liver health, helps indigestion, eases tension, improves sleep. 15. Rhodiola- Golden Root/Rhodiola Rosea Increases immunity, prolongs life span, increases exercise capacity. Clears toxins, strengthens nervous and digestive system. Reduces fatigue. 16. Siberian Ginseng- Eleutherococcus senticosus Called the “king of adaptogens,” has a wide range of vitalizing effects. Increases hearing, improves eyesight, supports immunity and stress adaptation. It Increases mental and physical work capacity. 17. Suma- Pfaffia paniculata An adaptogen that is antiviral, antibacterial and immune stimulating. Increases muscle mass, protein production, overall physical endurance. Balances hormones, reduce blood sugar, cholesterol, triglycerides. Reduces fatigue, promotes liver and kidney regeneration, skin healing. Next article What Are The Most Used Self-Improvement Products Nowadays?